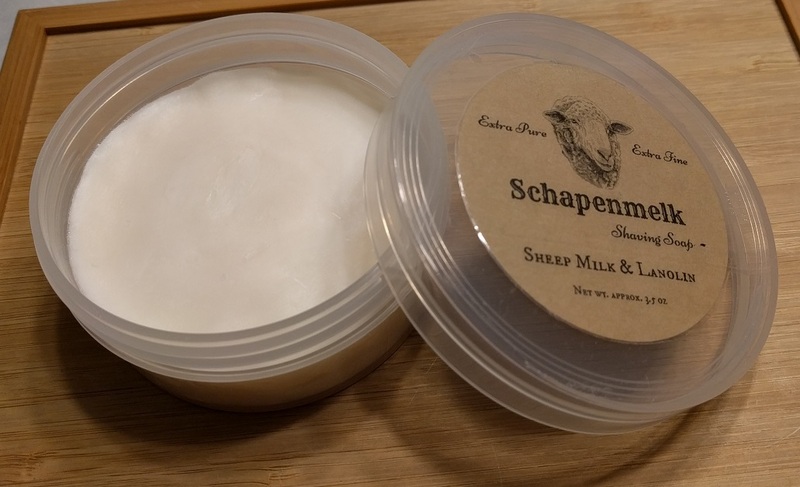 Schapenmelk shave soap by Cold River Soap Works. Sold Schapenmelk shave soap by Cold River Soap Works. I received the puck and tub from CRSW this week and as pictured pushed the puck into the tub and tape the label onto the lid. The soap lathers easily and is slick. The scent is a fresh, cologne like scent that is mild to mild+ in strength. I lathered it twice. I am selling because something in the soap tingles my skin so it has to go. Asking $5 shipped within US, paypal preferred. Sorry to the others that sent replies and PMs within a few seconds of each other. I just picked the first notification.